Doug Marrone may have finally found a home. After bouncing around from team to team holding various coaching jobs, he landed in Jacksonville on the eve of the 2017 season and led his squad their first winning season and first playoff victory since 2007. A former offensive lineman himself, Marrone received excellent production from his offense which featured both a young quarterback and a rookie lead rusher. The real threat was the Jags defense, however. With the #1 ranked pass defense in 2017 and the second-best points and yards per game numbers, opponents swore the Jaguars were playing with twelve on the field. With a very similar, yet even deeper, roster in 2018, the Jacksonville Jaguars betting odds are right where they should be, near the top of the league. Never having to leave the state of Florida, Jaguars quarterback Blake Bortles is entering his fifth season out of UCF. Enduring an up-and-down start to his career, Jaguars fans are hoping he can put it all together in 2018, a year where expectations are sky high. Bortles peaked with an incredible sophomore season in 2015 but his passing yards and touchdowns have dropped off each of the last two seasons. Despite these inconsistencies, the Jaguars still scored the fifth most points in the NFL and gained the sixth most yards. Imagine what they would be capable of with Blake Bortles in 2015 form. If that happens, the Jacksonville Jaguars betting odds could prove to be a great value. A major factor in the Jaguars success last season was the 1,000-yard effort by rookie rusher Leonard Fournette. This contribution helped alleviate the pressure from Bortles while also extending the length of Jaguar drives and keeping that elite defense fresh for the fourth quarter. If Fournette can match his success from 2017, expect big things out of Jacksonville once again this year. The Jaguars boasted the best secondary in the NFL last year, anchored by corners A.J. Bouye and Jalen Ramsey. Defensive coordinator Todd Wash now has even more depth to work with after adding safeties Don Carey and Cody Davis along with former Lions corner D.J. Hayden. Look for this unit to once again stifle opponents’ passing attacks and keep the Jaguars in every game they play. After suffering through many years of humility, the Jacksonville Jaguars betting odds for winning Super Bowl 53 sit at 22-1, which places them right up at the top of the NFL. Here at SkyBook, we pride ourselves on being the best NFL sportsbook for all your football betting needs. 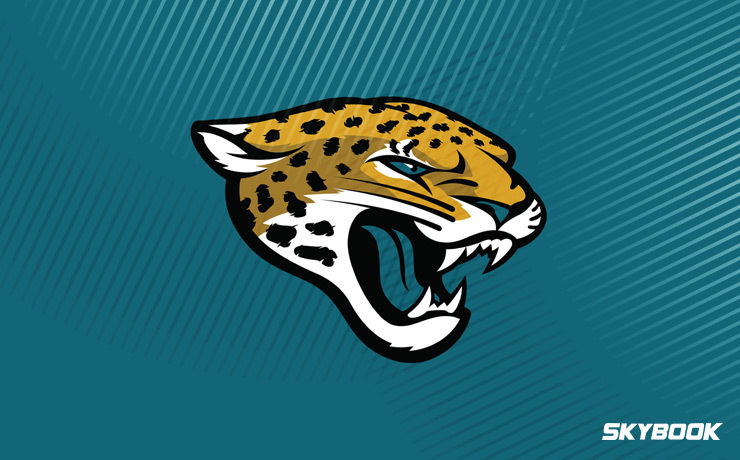 We are your home for Jaguars game analysis, matchups, and injury reports all season long. In a weak division, the Jaguars should not have a difficult time returning to the postseason. Remember that we offer the best Jacksonville Jaguars betting odds along with great bonuses that you will not find at any other sportsbook.